The majority of patients with cystic fibrosis may not achieve blood concentrations of antibiotics sufficiently high enough to effectively fight bacteria responsible for pulmonary exacerbations, leading to worsening pulmonary function, indicates a study led by researchers at Children's National Health System. Additionally, the study findings show that it's impossible to predict solely from dosing regimens which patients will achieve therapeutically meaningful antibiotic concentrations in their blood. The findings, published online in the Journal of Pediatric Pharmacology and Therapeutics, suggest that closely monitoring blood antibiotic concentrations could prove key to improving clinical outcomes. Cystic fibrosis, a genetic condition that affects about 70,000 people worldwide, is characterized by a buildup of thick, sticky mucus in patients' lungs. There, the mucus traps bacteria, causing patients to develop frequent lung infections that progressively damage these vital organs and impair patients' ability to breathe. Although all antibiotics have a minimum concentration threshold necessary to treat infections, Beta-lactam antibiotics are time-dependent in their bactericidal activity. Their concentrations must exceed a minimum inhibitory concentration for a certain period. 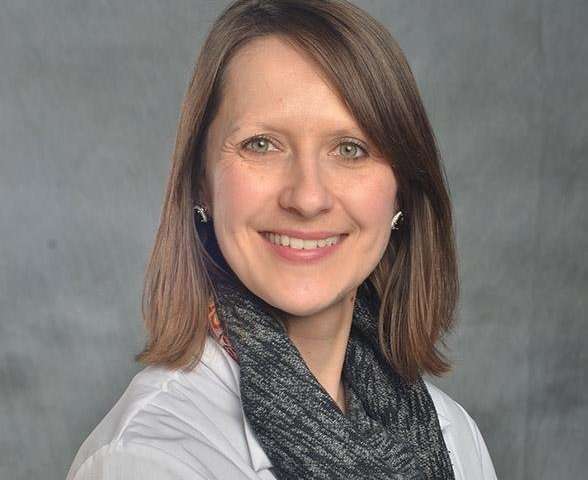 However, explains study lead author Andrea Hahn, M.D., MS, an infectious disease specialist at Children's National, blood concentrations of Beta-lactam antibiotics aren't typically tracked while patients receive them. Since antibiotic dosing often doesn't correlate with cystic fibrosis patients' clinical outcomes, Dr. Hahn and colleagues examined whether patients actually achieved serum antibiotic concentrations that are therapeutically effective. More than 30 days after the patient completed the treatment course. A repeat trough fewer than 30 minutes before another dose. Using these data points, the researchers constructed a model to determine which patients had achieved therapeutic concentrations for the bacteria found in their respiratory secretions. They then correlated these findings with the results of patients' pulmonary function tests. Just 47 percent of patients had achieved therapeutic concentrations. Those who achieved significantly high antibiotic exposure had more improvement on their pulmonary function tests compared with patients who didn't. Dr. Hahn notes that real-time monitoring of antibiotic blood concentrations could help doctors stay on top of whether patients are being adequately dosed. The research team is investigating this in a new study. Another way to ensure patients receive therapeutically meaningful levels of antibiotics is to develop new models that incorporate variables such as age, gender and creatinine clearance—a measure of kidney function that can be a valuable predictor of metabolism—to predict drug pharmacokinetics. Using findings from this research, Dr. Hahn adds, Children's National already has implemented an algorithm using different variables to determine antibiotic dosing for patients treated at the hospital. "Getting adequate treatment is crucial for getting better," she says. "At Children's National, we are implementing policies to make sure that happens for our patients with cystic fibrosis, infusing new research insights into patients' ongoing clinical care."